American Majority CEO Ned Ryun and “The Richard Fowler Show” radio host Richard Fowler discusses how four women accused former Vice President Joe Biden of inappropriately touching them. Former Vice President Joe Biden took to Twitter on Wednesday to respond, for the first time, to multiple allegations of inappropriate touching by women who say they felt violated by his behavior. But Fox News Contributor Richard Fowler sympathized with Biden, and recounted an experience he had with the former Vice President on a train ride. Fowler said that Biden touched his shoulder “and we had a great conversation. I didn’t feel it to be uncomfortable. I felt it as his way of saying ‘I’m listening to everything you’re saying, I want to know more,” he told FOX Business’ Kennedy on Wednesday. But in Ned Ryun’s opinion it may not be Biden’s behavior that brings down his potential presidential run. 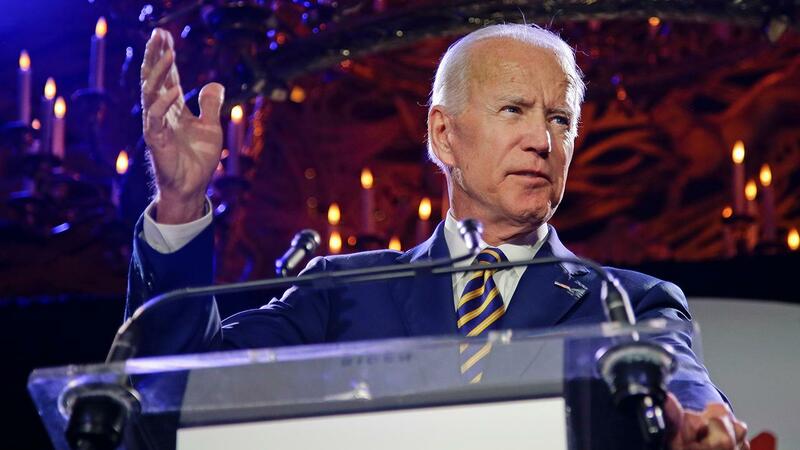 "I want to remind people of the bigger picture: this could be Biden’s third presidential run. The first two were exercises in mediocrity,” said the former speechwriter for President George W. Bush. Ryun added that Biden can’t win the race if he decides to run because the Democratic Party has changed.